I sent Andy this rather fuzzy phone image to show off Mo’s fancy-pants hair style. 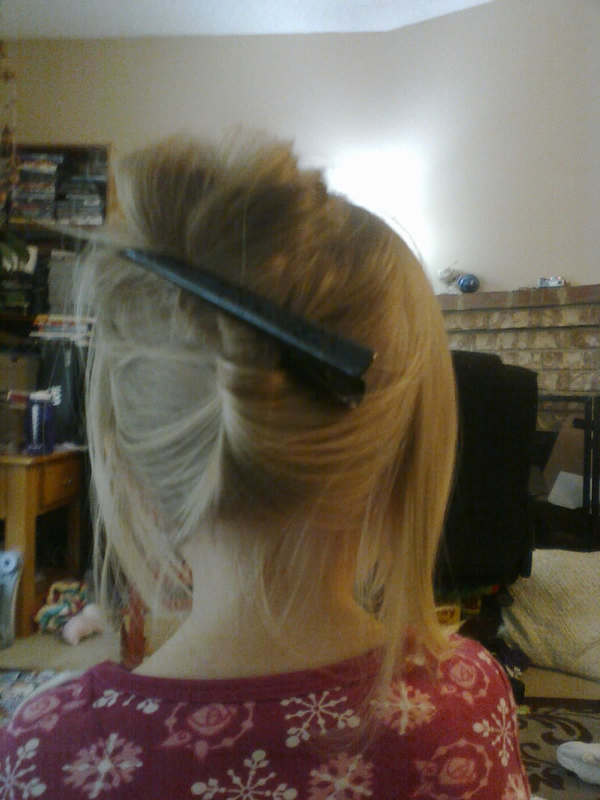 Which, by the way, she kept in her hair for over an hour! Unheard of! Another thought: I don’t see the back of her neck nearly enough. I love it! We should work on more pony tails, I think.